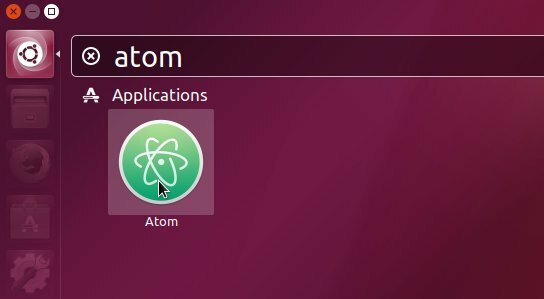 The Atom text editor now is easy to install in Ubuntu 16.04 and higher via the Snap package. 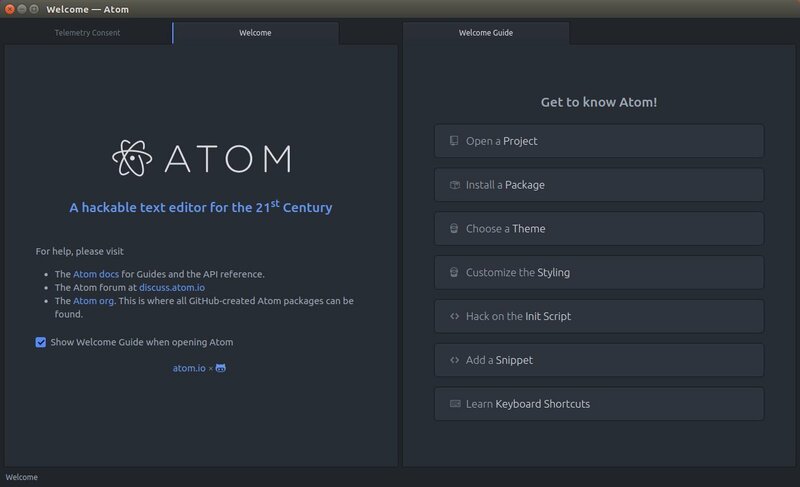 Atom is a free and open-source text and source code editor for macOS, Linux, and Microsoft Windows with support for plug-ins written in Node.js, and embedded Git Control, developed by GitHub. Atom is a desktop application built using web technologies. Most of the extending packages have free software licenses and are community-built and maintained. Atom is based on Electron (formerly known as Atom Shell), a framework that enables cross-platform desktop applications using Chromium and Node.js. It is written in CoffeeScript and Less. It can also be used as an integrated development environment (IDE). 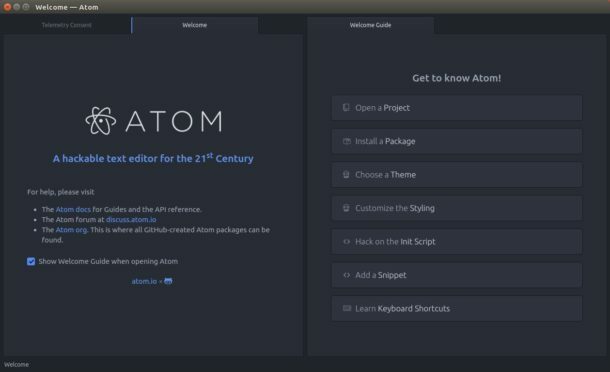 Atom was released from beta, as version 1.0, on June 25, 2015. Its developers call it a “hackable text editor for the 21st Century”. For first time installing a snap app, you may need to restart and then launch the editor from Unity Dash / Start Menu.